September 2018: I ‘met’ Owen KJ6AKQ on Twitter, I cant recall exactly how or when, maybe 6 months ago. He was a KJ6 who had landed (with family) for work in Melbourne, with a KX3, a real ‘ham sensibility ‘, and an obvious desire to get back into the hobby. But living in an inner city townhouse was going to cramp his style somewhat. After finding how to take out a VK3 callsign he registered VK3EAR. Callsign, rig, but no antenna. I knew he was itching to get on air when he started calling CQ on Twitter. 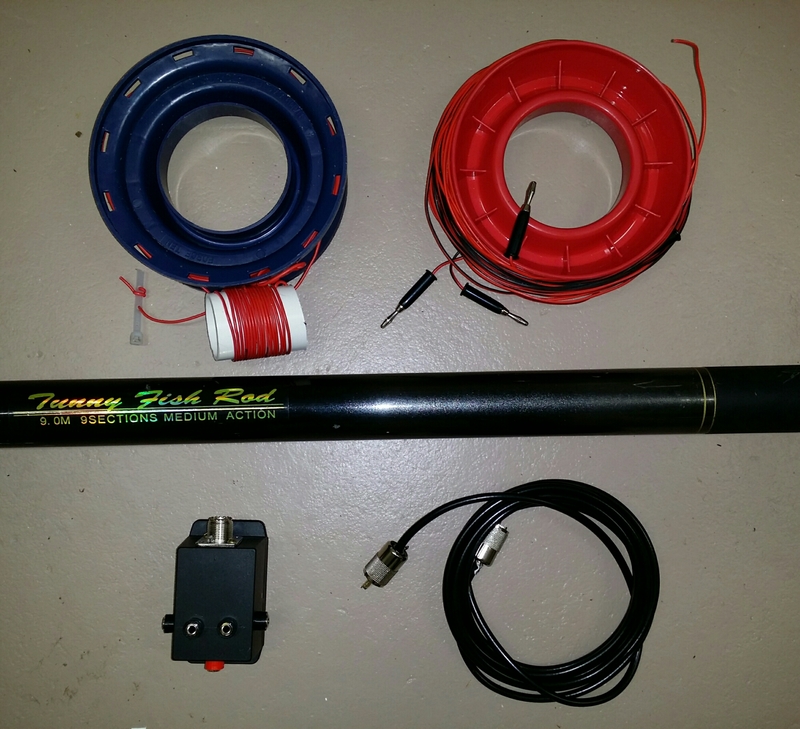 A 40 meter dipole in the conventional or inverted-vee configuration is a fine antenna for portable operation, providing reliable communication around the southern states during the daytime . My first few SOTA activations used a 40 meter dipole slung from branches at 5 or 6 meters. It worked perfectly. Next I purchased a 9 meter squid pole from which the dipole was hung, albeit from the second or third telescopic segment down from the tip for rigidity. This eliminated the need for a convenient branch and the lead weight swinging, and the ever-present risk of missed shots getting tangled in out-of-reach branches. But at times the task of walking out from the activation point and tying off the two 10 meter wire elements to suitable tree branches felt a bit tiresome, and on some summits impractical. The popular end fed dipoles preferred by many current activators span a similar lineal distance, although they allow the radio to be positioned close to the feed point and dispense with the 10 meter length of coax required to feed the center-supported dipole. The parts that make up the center-loaded vertical — the blue fishing spool holds the driven element wire and its loading coil. The red spool holds the 4 radials with banana plugs. The termination box and 3 meters of coax provide the feed.